I can still feel that warmth of the sun when sat on the bow of the boat, and the fantastic view of hilly islands covered by a blanket of grass. It was a marvelous experience. Do you have to go on live on board boat? No! When I was looking into this holiday I thought you can only see the islands if you booked the on board 3-days-2- nights on board a boat trips. Although I am sure it would have been wonderful to have done that, I am not really that good with boats and I am too old to sleep in a not-really-a-bed-bed. There were also diving boats, which again sounds marvelous, unfortunately I don’t dive, more that I am not allowed to dive. I was slightly worried that this might be the case, and I have to in the end hire private boats. It turned out, you don’t have to do them at all, just book it a night/ day before in town, because the trips starts early. 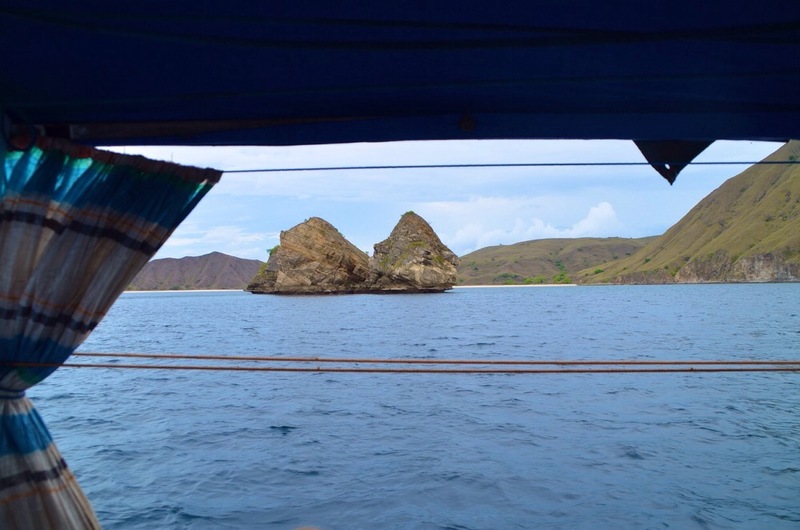 Make sure that your hotel are able to take you to the harbour for any of the trips timing, sometimes it is at around 6am (this is for the Komodo Island). Warning sometimes the hotels offer a service of booking you for a higher rate, on the other hand it might cost slightly more, but for the convenience you might just choose to do that. When I went on the Rinca island trip I paide 350 and a guy paid 450 through his hotel. The places we went to is Gertrudis Dive and Jonathan, it doesn’t really matter which one you go to they sometimes shares a boat anyway. You can borrow snorkelling gear, it is included in the price and you get packed lunch. You can ask for breakfast box to the hotel on the night before, if you are leaving before breakfast start. 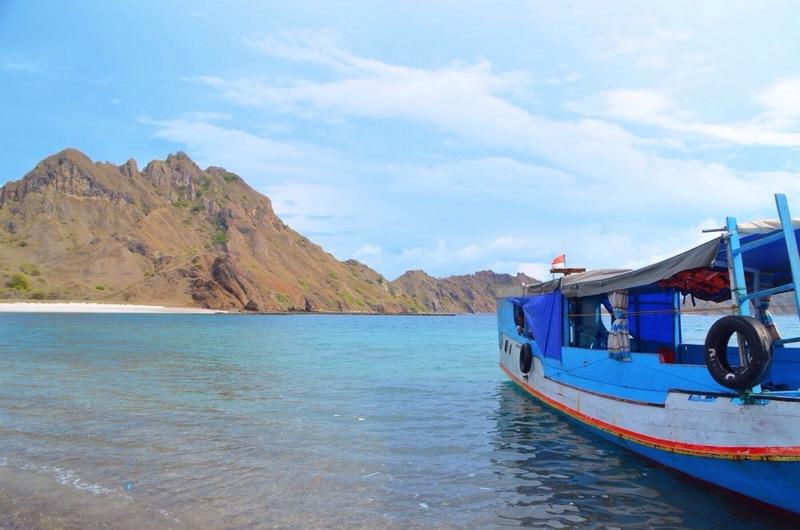 The one that goes further to Komodo Island should cost around IDR 400,000 and to Rinca should cost IDR 300,000 plus entrances to the area when you are in the island, this is if you share the boat with people. If you do it privately it is IDR 500,000 – IDR 1m per person. When you book, don’t forget to make sure you have their mobile number, just so if they turn up in the morning you can call them. I stayed at the Puri Sari Beach Hotel, which was a little out of town but they provided a shuttle to town. It was clean and nice, I would recommend, but there are some even newer hotel being built as I was there so there might be other choices when you read this. 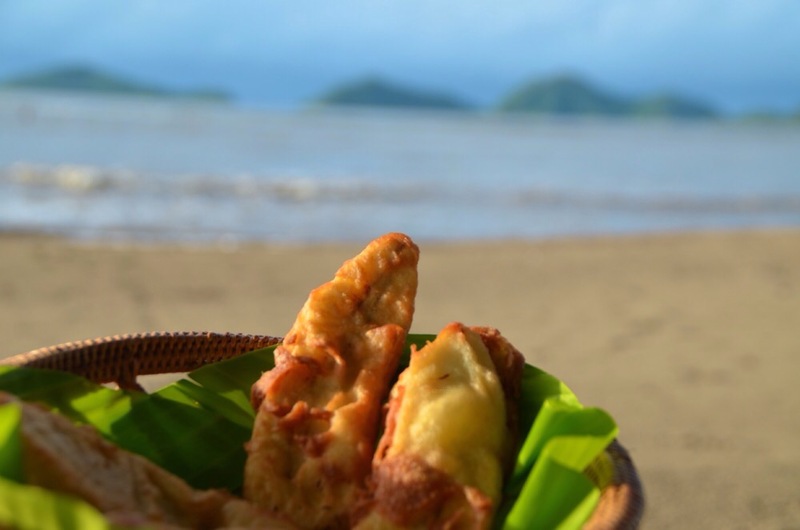 The beach is nice and very relaxing to drink and have fried banana and watch the sunset. I also love the garden and the small pool, the staff are friendly too. On the boats I met a few people that said that they stayed in Blue Parrot hotel, which only has 3 rooms, apparently and very small sized hotel, but very clean, and had a really good service. Have you been on the live on board boats? Or if you were in a hotel which was it and was it good. I am thinking of going back to the area soon, so any hints would be helpful. So what were the islands like? Oh yeah, that is on the next two blogs. Aww Pulau Komodo mumpeng deh aku 😦 bagus banget ya ! mahal gak tuh feb dari kanawa island?